BUY TICKETS TO "FUTURE THINKING"
Don't miss the Midwest Premiere of this sweet comic-con comedy about fantasy, celebrity and longing. 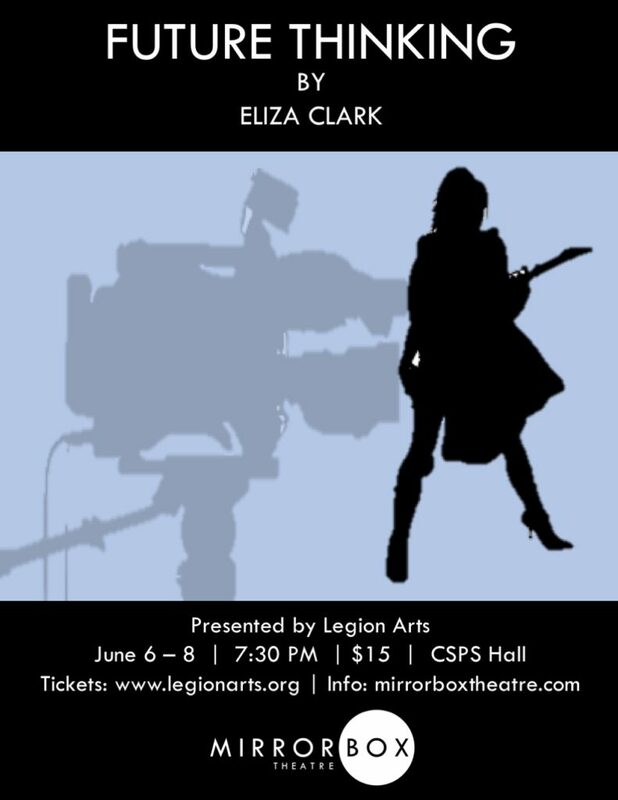 Mirrorbox Theatre produces Iowa-premiere plays as dramatic reflections on contemporary culture. The company embraces practical theatricality within an intimate setting, illuminating new thinking through new writing that is relevant to our modern lives. 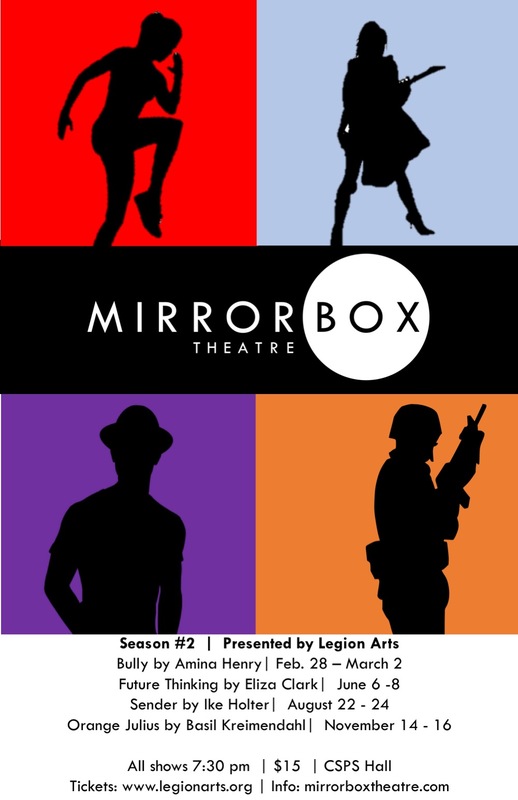 Mirrorbox Theatre is a resident company at historic CSPS Hall, home to our presenting partner Legion Arts, in Cedar Rapids’ NewBo district. Mirrorbox contributes to Legion Arts’, community-based mission by introducing Eastern Iowa audiences to the very best in contemporary art. The two organizations share a commitment to equity, diversity and inclusion, and to providing paid opportunities for local artists. Our 2018 season featured the Iowa premieres of outstanding works by contemporary writers, Ike Holter, Lucas Hnath, Rebecca Gilman, and Mickle Maher. Read more about our 2019 season, and please consider the Premiere Pass, our discounted season subscription package. Learn all about our exciting season of Iowa premieres.